We’re making progress! Jaylie’s new bathroom tile is all in & we’re so excited about how it turned out! I used an aqua penny round from tilebar to cover her entire vanity wall & carried it into the shower in horizontal stripes. The stripes play a big part in her Kate Spade inspired bedroom & bathroom. 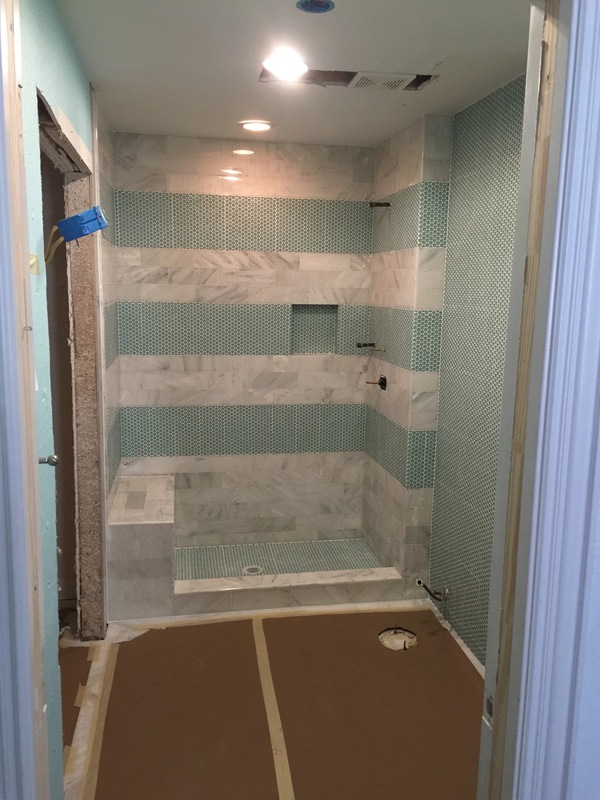 The floor & shower are 4×12 carerra marble. I used a staggered brick joint in the shower & a herringbone on the floor. We decided to take her tub out & give her a frameless glass shower with a bench. To give her more space in her bathroom, we’re also taking off the original bathroom door & replacing it with a sliding door. 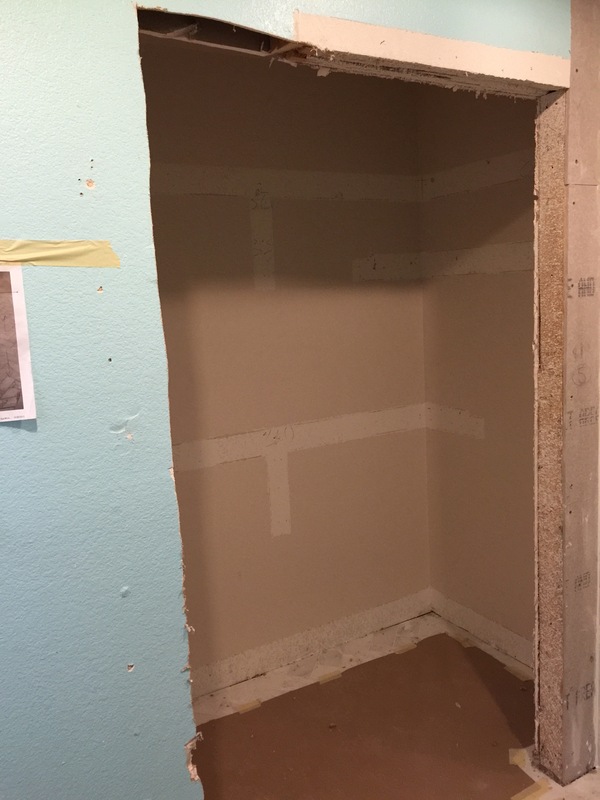 We’ve already taken out the closet door & we’ll be using the two photos below as inspiration for cabinets & organization for this closet inside of her bathroom. This area will have a cased opening with a center cabinet tower with drawers at the bottom & adjustable shelving on either side. I’ll be back on Thursday with more of our design plan for her Kate Spade inspired bedroom. For daily inspiration & more progress photos follow me on Instagram.